Most people cringe when they think about going to the dentist, but even a root canal is painless compared to a DOJ investigation. During 2016 the Federal Government recovered $2.5 billion in federal losses from false claim actions in the healthcare industry, and likely many millions more for state Medicaid programs. Drug and device companies, laboratories, health systems, and physicians are often the targets of these investigations, and whereas these industry participants are often aware of the heightened compliance requirements for acquisitions and other financial relationships, these considerations are frequently overlooked by dental industry investors. Following the passage of the Patient Protection and Affordable Care Act (“ACA”) in 2010 the Office of the Inspector General (“OIG”) in the U.S. Department of Justice (“DOJ”) made halting Medicare and Medicaid fraud and abuse a top priority in the effort to control healthcare spending. Medicaid expansion is a significant cost in the ACA, and as a part of this expansion states must provide dental benefits to children covered under Medicaid and the Children’s Health Insurance Program (“CHIP”) and many opt to offer benefits to adults. Dentists, dental laboratories, and other dental industry participants need to be aware of the fraud and abuse statutes, including the requirement that transactions and other financial arrangements between parities in a position to refer must be fair market value (“FMV”). This may implicate dental mergers and acquisitions, compensation and service fee arrangements, equipment leasing and real estate transactions. Approximately 40% of dentists currently accept Medicaid and this participation rate is expected to grow as more Medicaid-friendly dentists establish practices and more Americans become eligible for Medicaid. According to the Centers for Medicare and Medicaid Services (“CMS”), Medicaid and CHIP dental expenditures increased approximately 10% compounded annually from 2005 to 2015, over three times the rate of increase of total spending by all other payors of dental care in the US. The ACA’s Medicaid expansion provisions have allowed government payors to rapidly increase their footprint in the traditionally commercial and self-pay dominated “payor mix” of dental health, and therefore have introduced new and sometimes unfamiliar compliance concerns to participating practices. Government reimbursement rates, and particularly Medicaid, are often lower than commercial rates and this has driven dental practices to more aggressively search for ways to reduce costs or identify economies of scale. One cost-saving method that is finding favor among dentists and investors alike is the dental service organization (“DSO”) model. DSOs can act as an ownership and/or management entity that provides business services to a group of dental practices in exchange for pre-determined compensation. Although laws governing the corporate practice of dentistry vary by state, in most settings DSOs allow non-dentist investors such as private equity firms to have a stake in the business of dentistry. Private equity firms in particular are motivated to seek out scalable, value-building investments and dentistry’s profit margins, reliable sources of income, and easily scalable attributes makes the industry an ideal target for investors looking for capital appreciation. However, investors in businesses such as dental practices that accept government payment must be aware of the compliance and regulatory risks that follow. A discussion of the myriad of laws and regulations governing participants in federal payor programs is beyond the scope of this article, however, industry participants should be generally aware of the False Claims Act [31 U.S.C. § § 3729-3733], Anti-Kickback Statute [42 U.S.C. § 1320a-7b(b)], and Physician Self-Referral Law [42 U.S.C. § 1395nn] (commonly referred to as the Stark Law), as they set strict regulatory guidelines for lawfully operating a dental practice that accepts government payment and levy significant criminal and civil penalties to all parties involved in any unlawful activity. Government payors are legally well-protected from fraud and abuse and the list of oversight and enforcement agencies that police government payments is extensive. Among the regulatory concerns involving dentistry practices and DSOs is the requirement that any remuneration for services and assets is set at fair market value. Within a healthcare setting, the definition of FMV is the value in arm’s-length transactions, consistent with the “general market value.” ‘‘General market value’’ means the price that an asset would bring as the result of bona fide bargaining between well-informed buyers and sellers who are not otherwise in a position to generate business for the other party and where the price or compensation has not been determined in any manner that takes into account the volume or value of anticipated or actual referrals. Practically speaking, this means that the purchase or sale of such a business participating in Medicare or Medicaid must be priced in a manner consistent with the definition of FMV above in order to ensure compliance with regulatory standards. For example, a private equity sponsor acquiring a dentistry platform business or subsequent roll-up must be careful to avoid any value attributed to the value or volume of referrals, including “synergistic” considerations. For investors accustomed to making strategic investments, this may necessitate modifications to existing pricing models to stay within FMV. In additional to the acquisition itself, investors in dentistry practices and DSOs must be aware that the many contractual relationships that these businesses have are also subject to FMV. DSOs contract with dentists to provide certain management services or to employ the dentist directly, and care must be taken to ensure that the compensation paid for these services is set in advance, does not vary with the value or volume of referrals, and is set at FMV. This is also the case for clinical employment, directorship or consulting roles, and other administrative services involving those in a position to refer. Third party contracts for medical supplies, clinical lab testing, pharmaceuticals, and other medical services necessary should also be assessed. Even common or seemingly benign arrangements can give rise to regulatory concern. For example, lease rates charged for real estate or dental equipment must be set at FMV levels if the parties are in a position to refer. For example, equipment or real estate provided to a dentist at below market rates because they use a related party’s dental lab. Remuneration inconsistent with FMV can subject the parties to intense regulatory scrutiny, which is usually accompanied by lengthy and expensive investigations, delaying or even prohibiting transactions, and can include significant civil monetary or criminal penalties. 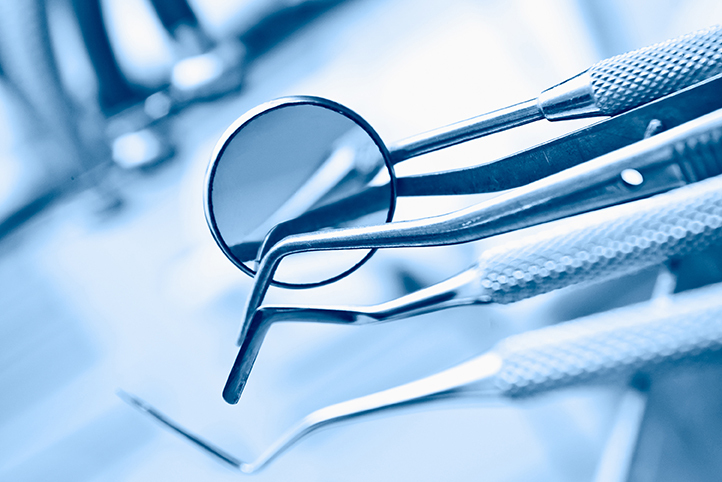 The rigorous enforcement of the laws and FMV standards described above by both state and federal authorities requires careful attention to the details of dental practices and DSOs that accept Medicaid and CHIP patients. A consultant with significant healthcare experience, combined with expert legal advice, can be critical for ensuring compliance with FMV and federal and state laws in dental transactions, protecting investment in Medicaid dental practices, and allowing the investor to confidently create value in the dental space. “Medicaid Fraud Control Units Fiscal Year 2016 Annual Report.” OIG. May 2017. “Global Private Equity Report 2017.” Bain & Company, Hugh MacArthur. 2017. “Dentist Participation in Medicaid or CHIP.” American Dental Association. 2017. “Making Medicaid Work: Dentists for the Poor.” Forbes. Howard Husock. August 2015.